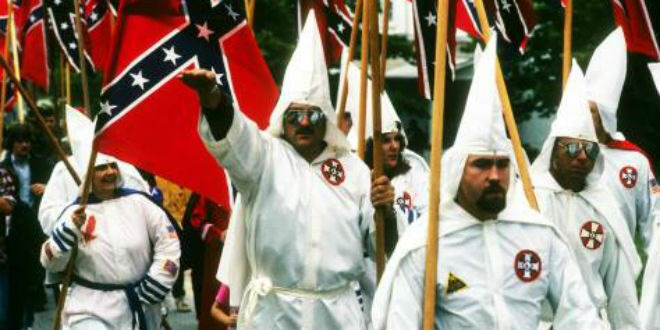 Alabama Paper Calls For "Ku Klux Klan To Ride Again" - Joe.My.God. Goodloe Sutton — who is also the publisher of the Democrat-Reporter newspaper in Linden, Alabama — confirmed to the Montgomery Advertiser on Monday that he authored the Feb. 14 editorial calling for the return of a white supremacist hate group. “If we could get the Klan to go up there and clean out D.C., we’d all been better off,” Sutton said. Asked to elaborate what he meant by “cleaning up D.C.,” Sutton suggested lynching. “We’ll get the hemp ropes out, loop them over a tall limb and hang all of them,” Sutton said.